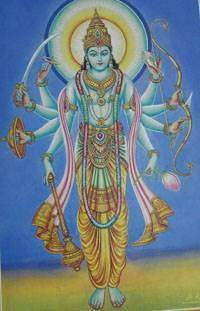 It has no ruling planets but represent Lord Mahvishnu the Great protector and Saviour of Mankind also called Satyanarayan, Anantnarayan, Lakshminarayan, Sheshnarayan and Dhruvnaryan. The wearer gets a sense of security. It is very powerful and can help overcome fears develop a sound mind. It can help a person enjoy the benefits of life attain happiness and success. 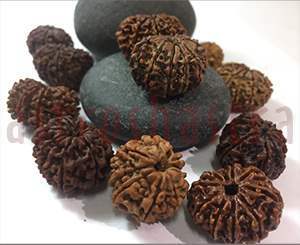 10) Sri Kalki Avatar ( Dark Age) The wearer of this Rudraksh remains free of all the evil effects on inauspicious planets and all other evil spirits. It is helpful in all respiratory diseases if taken with milk in parts form. This is very helpful in chronic cough and asthama. Its wearer is protected from all type of attacks from weapons. It has great importance in spiritual field. It helps in the cure of whooping cough. As per a legend, water was born from the feet of Lord Vishnu. The name of Ganges River, ‘Vishnupadodki’ that came out from the feet of Lord Vishnu, Also, water is known as ‘Neer’ or ‘Nar’ and the place where Lord Vishnu stays is also water. Therefore, from ‘Nar’ his name Narayan is formed. This means, God living inside water. 1. It protect the wearer from evil eyes. 2. It protects from the evil effects of souls. 3. It removes snake fear. 4. It is helpful in legal cases and fear of imprisonment. 5. It protect from all Maran, Mohan and Akal mrityu. 6. 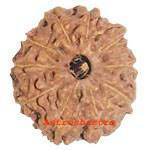 This rudraksha protects from all Tantrik Attacks. 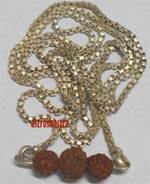 This is usually worn in right in the form of bracelets and or around the neck in red thread, silver, 5 mukhi rosary or Gold on any Monday . It shall be worn on any monday morning. After morning rituals, it should be washed with ganga jal or panchamruit and worshipped and worn in Gold, silver or in red thread, while facing North or east. It can be worn with any other bead. 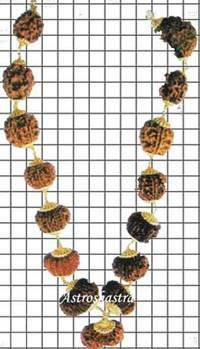 It is very effective if worn with Gemstone or Yantras. It should be worn only after being energized by its mantras. 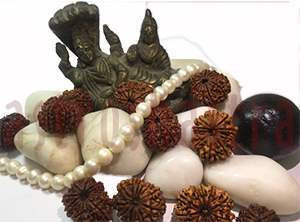 The rosary of five mukhi beads with 10 faced in centre should be taken in hands. Thereafter the following mantra should be recited 108 times then it should be worn. This should be worn in neck.